Lizzy Chandler’s debut novel, Snowy River Man, is an engaging contemporary romance, with an edge of suspense, set in rural Australia. Katrina Delaney is stunned when she learns that the lost and frightened child she has seen in her dream is Jack Fairley’s son. Seven years ago she and Jack spent a single passionate night together, only for everything to fall apart the morning after. Jack Fairley is frantic when his young son disappears while at a rodeo, seemingly without a trace, and he is willing to do anything to ensure his safe return, even if that means accepting the help of Katrina Delaney. Though wary of their history, Katrina and Jack are determined to put aside their differences in order to ensure Nick’s safe recovery but in saving the lost boy, they just may lose their hearts. I really like the bones of the story, for such a short novel (just 165 pages) the author has developed a well layered plot, even if several elements seem somewhat truncated. The main conflicts expose personal and professional betrayal and shocking family secrets providing plenty of dramatic tension. The suspense is well crafted and nicely paced. Katrina is an interesting character, only recently having found some sense of equilibrium after enduring several difficult years related to a tragic loss and the intrusiveness of her psychic gift, it’s brave of her to offer Jack her help, knowing she could be opening herself up to more pain. The chemistry between Katrina and Jack is portrayed well, their simmering attraction, complicated by the past, eventually boils over in a sensual scene. I must admit I wish the author had chosen to exploit the story’s potential and developed Snowy River Man into a full length novel but it is a quick, engaging read offering an appealing tale of love, betrayal, forgiveness and family. You can learn more about Snowy River Man in the guest post shared by Lizzy Chandler here at Book’d Out earlier today. Win a copy of Snowy River Man by visiting http://lizzychandler.com/snowy-river-man-giveaway/. Entries close March 1st, 2015. 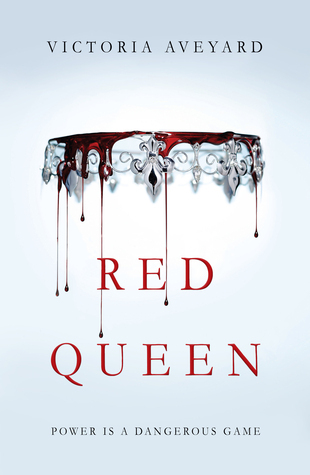 A fast-paced high fantasy adventure, Red Queen introduces Victoria Aveyard’s debut trilogy. Perhaps the weakest aspect of Red Queen is its fairly formulaic concept. Aveyard pits an elite group – the Silvers – against an oppressed faction – the Reds. The Silvers, so called because of their silver blood, have a range of special abilities and hold all the wealth and power. The Reds, who bleed red blood, have no such gifts and are used as little more than slave labour or as fodder for the war with neighboring factions, subject to the whims of the ruling class. Enter the Scarlet Dawn, a band of Red rebels determined to overthrow the Silver’s. In terms of plot however, the author ably develops exciting conflict, intrigue, and betrayal. There is plenty of tension, high emotion and drama as Mare struggles to deal with the dangerous situation she finds herself trapped in. The story is fast paced with plenty of action and the obligatory romantic triangle, though with a surprising twist. I liked Mare a lot, she is daring, feisty and loyal to those she loves. She has never simply accepted her lot in life as a Red, rebelling by becoming a petty thief in order to help support her family, and she jumps at the chance to become part of the revolution. Mare’s idealism is tempered with a hard earned streak of pragmatism but it proves to be not quite enough to protect her from intrigue of the Silver Court. She makes mistakes, tending to take things at face value, and as such is vulnerable to placing her trust in the wrong people with dramatic consequences. The other main characters introduced in Red Queen also prove to be interesting, particularly the Silver Princes, Cal and Maven. Their complicated dynamic is integral to the plot development and Aveyard uses it well. Entertaining and exciting I really enjoyed Red Queen and I am looking forward to the next book. 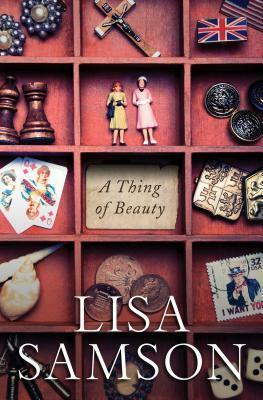 A Thing of Beauty is the story of Fiona ‘Fia’ Hume, a former child/teen film star who deserted the industry and its lifestyle after a stint in rehab. Escaping to the relative anonymity of the Boston suburbs she bought a lovely but dilapidated old home and had plans to become an artist but more than a decade later, nearly a recluse, she has done little else but accumulate rooms full of colour coordinated junk. With her savings nearly gone, Fiona is forced to rent out a room and meets Josia Yeu, a blacksmith who agrees to her strange terms. Initially Fia is uncomfortable with Josia’s presence but as he quietly transforms the small room he is renting, she is surprised to find herself motivated by the changes he has made to not only clear the clutter from her home but also the baggage of her past. I am surprised to learn that A Thing of Beauty is categorised as Christian fiction, had I known I probably wouldn’t have picked it up. As it stands there is no mention of God or religion in the story, but there is a spiritual message about forgiveness, acceptance, the healing power of love and finding the beauty within oneself, and others. The plot is a bit weak, several aspects of the story are underdeveloped and in the end it feels a little bit unfinished. Fiona is an interesting, if slightly odd, character though and I was surprisingly intrigued by her internal conflict. She struggles with a number of issues, including a history of sexual abuse, the loss of her best friend, and her mother’s narcissism. A Thing of Beauty isn’t a particularly memorable read, but I enjoyed it.